Founded in 1979, Action Against Hunger is an international non-governmental, non-religious, and non-profit making organization that delivers programmes in over 45 countries. Recognized worldwide as a leader in the fight against hunger, our mission is to save lives through the prevention, detection, and treatment of malnutrition, especially during and after emergency situations and conflicts. 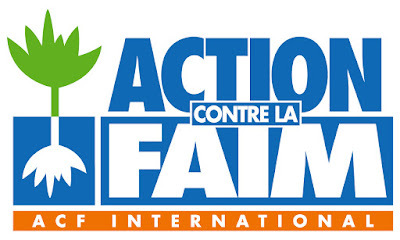 Action Against Hunger had been now developed into Action Against Hunger International network with headquarters in France, Spain, Canada, UK and USA. Action Against Hunger has been active in the NTT district since 2007 since its first established in 1999 in Indonesia in cooperation and partnership with the Ministry of Health, local authorities and stakeholders. Around 40 networks have benefited from a renovation, as have water sources and wells. In the Kupang District, Action Against Hunger now implements a range of integrated community based programs in Nutrition and Care practices, Food Security, Water Sanitation & Hygiene, Emergency response and DRR/Climate Change Adaptation going from relief to recovery in order to address effectively the population’s needs. To ensure the implemantion step correlated with LFA and planning. Supervise all the steps of implementation of STBM and do coordination with government through health department. Write reports on the activities and the project’s budgetary follow-up. Regular field visit with government. Demonstrated experience in humanitarian projects. Application Submission via email to: acfrecruitment@yahoo.fr before 14 February 2019.